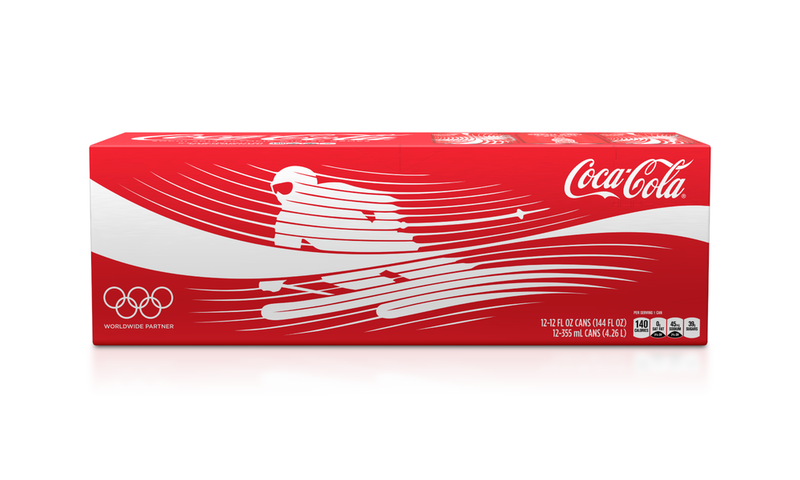 To express that Coke and the Olympics are “best enjoyed together,” we unified the Coca-Cola Dynamic Ribbon with winter athlete poses. Radiating line shapes echo the ribbon to create the athlete form and convey a sense of speed and motion. The designs were featured on packaging, in-store displays, and merchandise.